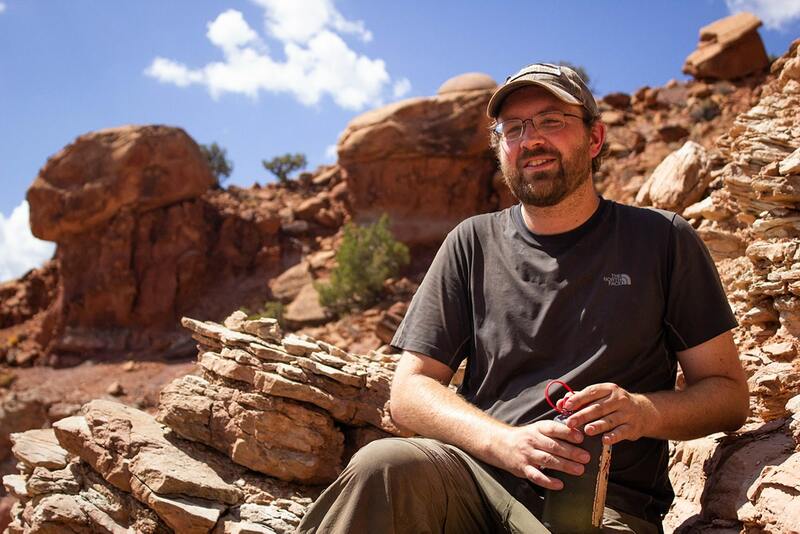 What's It Like To Dig Up Fossils With Paleontologists? 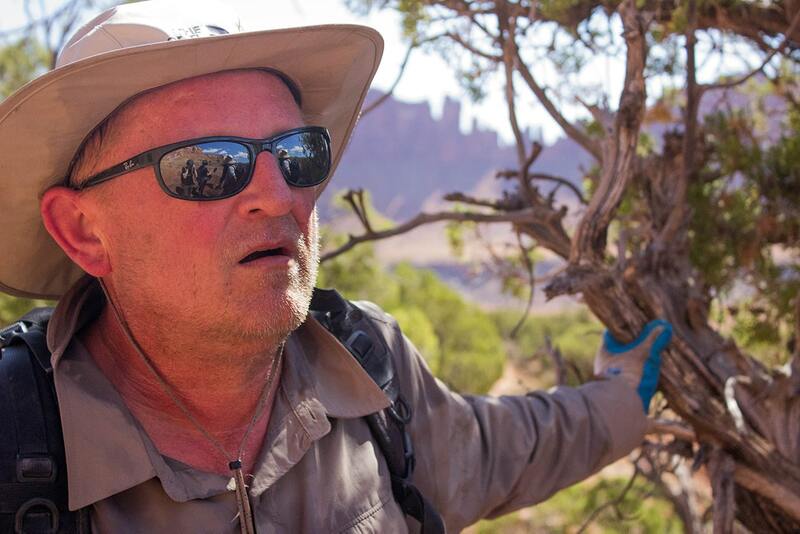 Out in the canyons of southeastern Utah, the arid August heat pricks at your skin. It’s a toasty 90 degrees Fahrenheit. When the wind picks up it only leaves you covered in a thin layer of fine dust. The loose rubble, fallen from the 200-million-year-old sandstone cliffs above crunch beneath your boots. And if you’re not careful with your steps, your walk can turn into a slide down the steep slopes. But for fossil hunters, it’s worth it to unearth prehistoric gold. 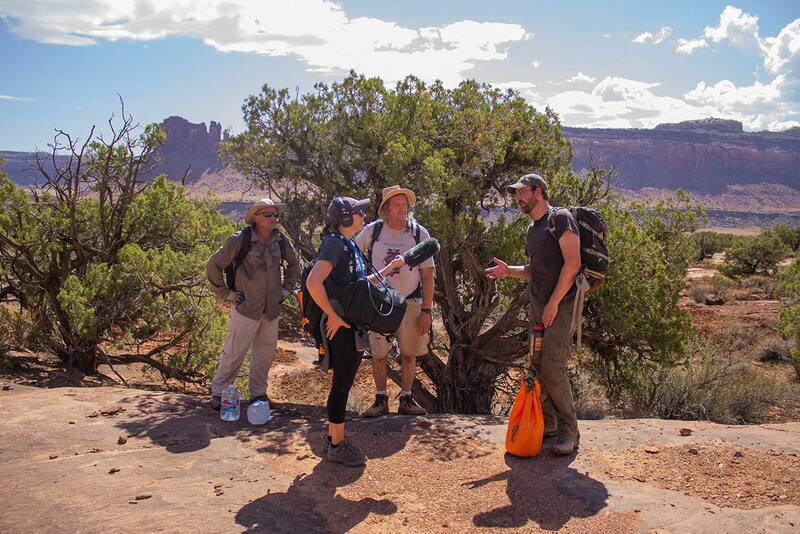 As you venture deeper into the Indian Creek corridor in Bears Ears National Monument, you travel further back in geologic time—eventually, to the era of the earliest dinosaurs. 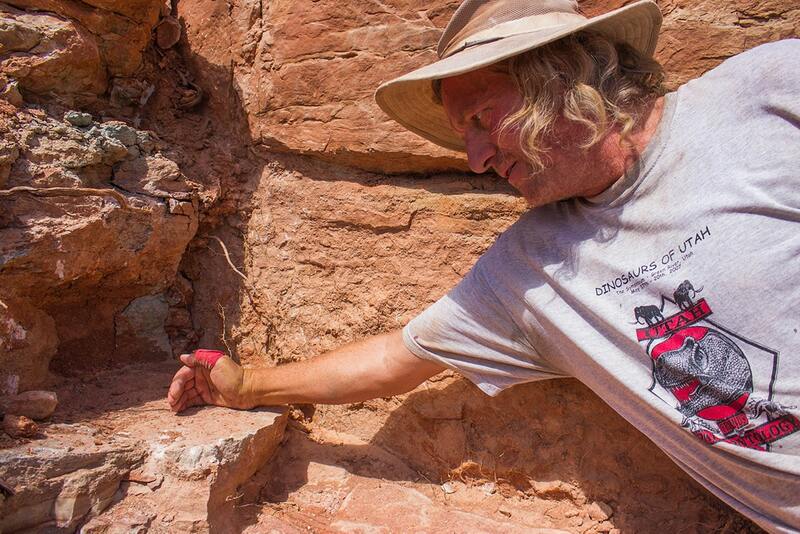 It’s a paleontological playground for Irmis and his team of researchers and volunteers. 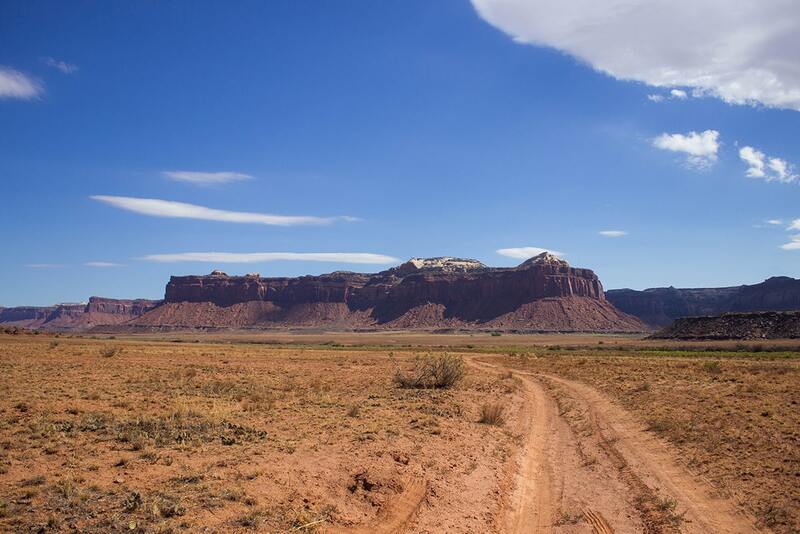 They’re piecing together clues about the late Triassic period around 210 million years ago, when protodinosaurs, or “dinosaur aunts and uncles” as Irmis calls them, dominated this area of Utah. Science Friday investigated what it was like to step into a fossil hunter’s boots, and followed Irmis into the desert. 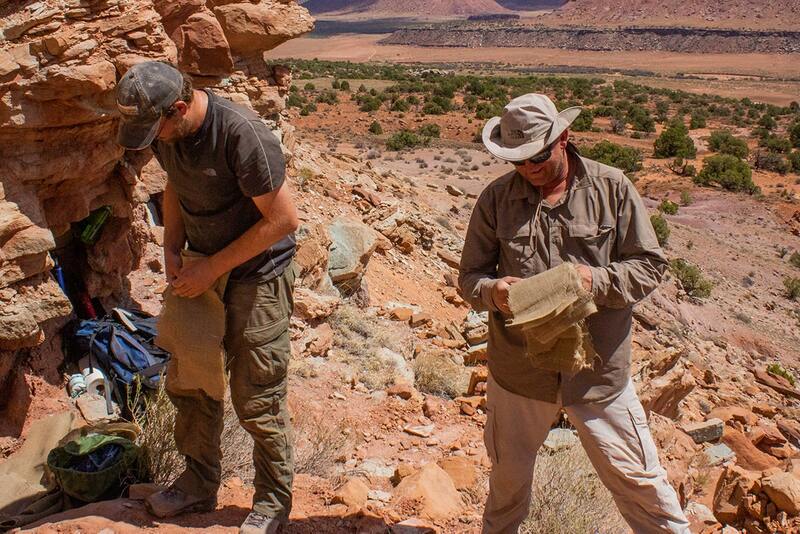 To take the prized phytosaur skull back to the lab, Irmis, Rock, and fellow paleontologist Andrew Milner, from the the Dinosaur Track Museum St. George in Southwestern Utah, began the intricate process of removing the fossil from the rock. But a dig is far less glamorous than that depicted by Hollywood. A full skeleton laid out and easily accessible from the surface, like what you might see in Jurassic Park, is a find paleontologists dream of, Irmis says. 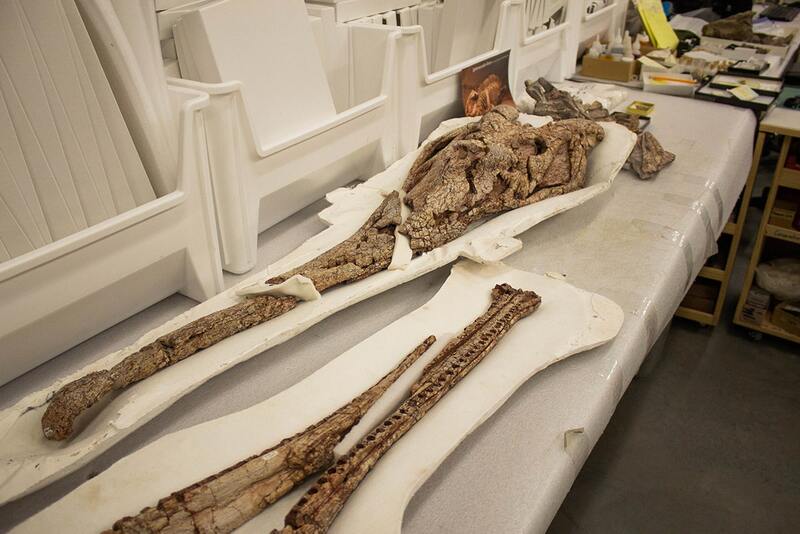 Instead, collecting one fossil, like the phytosaur skull, can take multiple days. It requires careful brushing, chiseling, plastering, and even sawing with a powerful motor rocksaw. Despite the hard work, a fossil find is important paleontological evidence for better understanding Earth’s history. 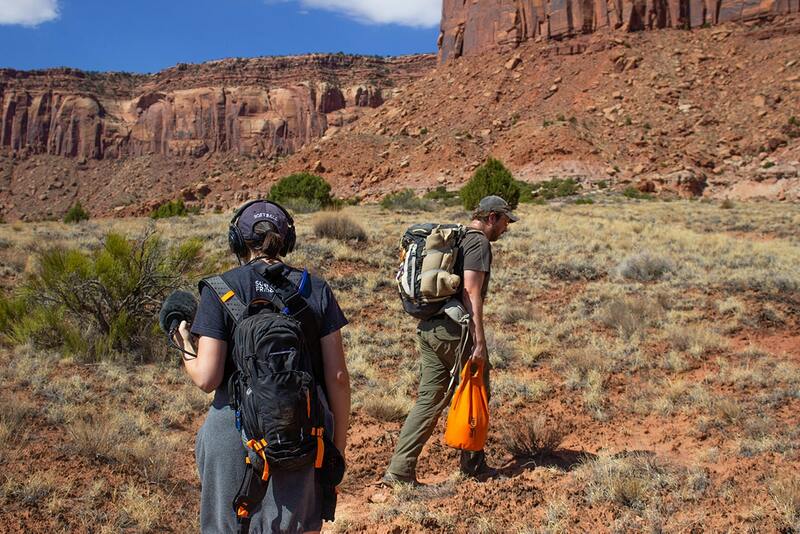 Trek out into the canyon with Irmis, his team, and Science Friday by listening to the audio diary and checking out the photos from the field below. Audio postcard by Katie Hiler. Text, photos, and videos by Lauren J. Young. 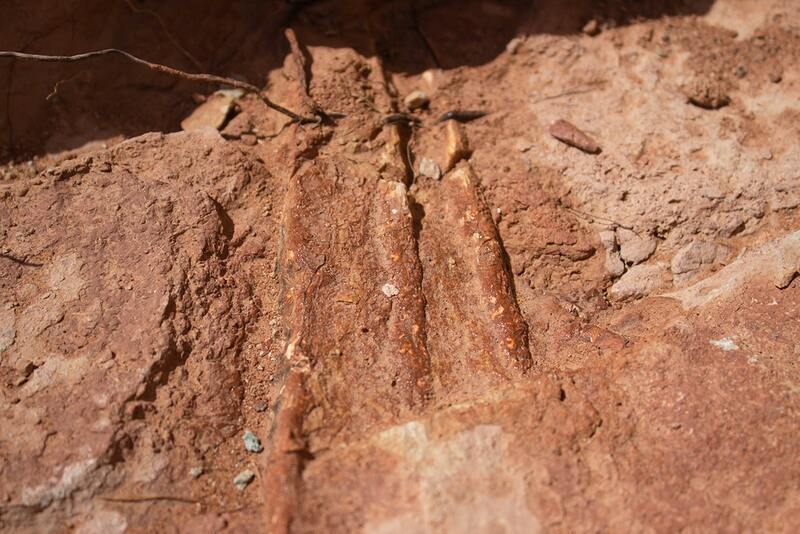 Paleontology isn’t all dainty brushing and chipping with hand tools. Andrew Milner cranks up the saw to get the fossil out of the rockbed. Credit: Lauren J. Young. 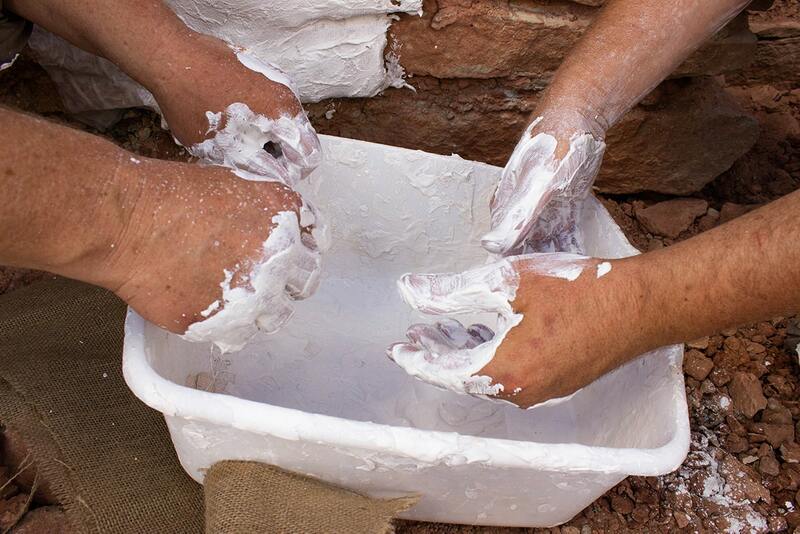 After strips of paper towel are laid over the rock, the burlap dipped in plaster creates a nice protective coat. Occasionally, someone might leave the site with a nice white handprint on their back when a “plaster fight” breaks out. Credit: Lauren J. Young. 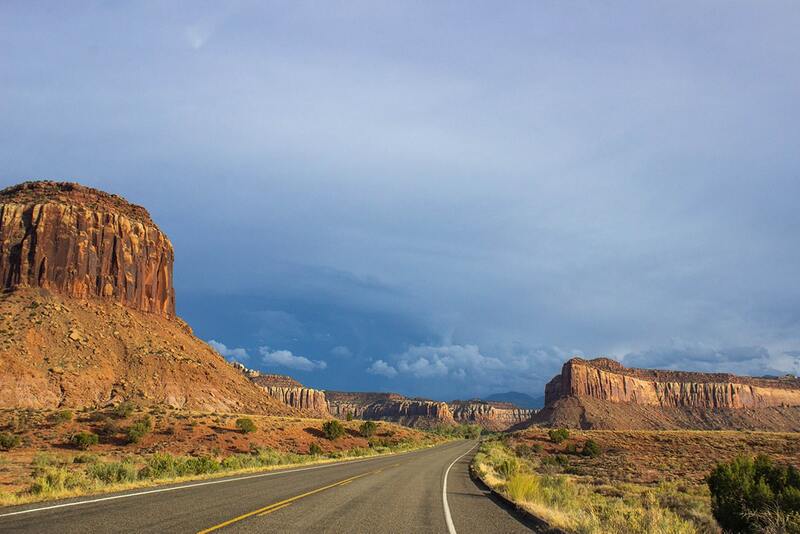 The rocks in Indian Creek's canyons date back to over 200 million years ago. Credit: Lauren J. Young.